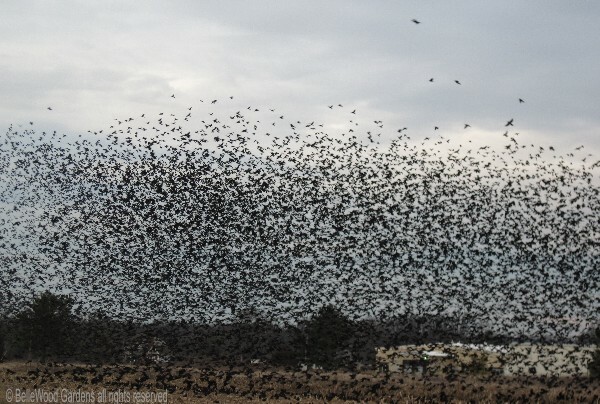 I thought it was amazing, last month, when the huge flock of grackles made a visitation to BelleWood Gardens. for bugs and seeds and stuff to eat. Today they were gleaning in a cornfield along Route 12 in Kingwood Township. 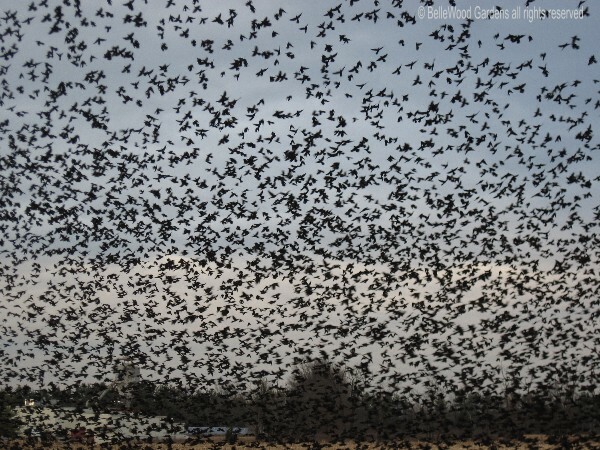 the grackles and they began to lift off. It's clear that there are many, many more than before. I almost ducked down as they swirled across the road. Fortunately no spatters on me or my car!